A drone forced Dubai international airport, one of the world’s busiest, to halt air traffic for an hour and a half, the third such incident in less than five months. Air space around the airport was closed from 7:25 pm to 8:49 pm (local time) yesterday “due to unauthorized drone activity resulting in flight diversions” said operator Dubai Airports. Dubai Airports stressed in a tweet that safety was its top priority and reminded drone operators that that it is forbidden to fly them within five kilometres of any airport. On September 28, the airport was closed for about half an hour because of an unauthorized drone while on June 12 it was forced to close for more than an hour for the same reason. Intel recently announced its Aero drone at its Developer Forum in San Francisco, alongside an all-in-one VR headset and its new tiny Joule computer. Aero is a fully assembled quadcopter that runs on the newly-announced Aero compute board, a playing card-sized device powered by an Atom quad-core processor that handles storage, communications and input/outputs. 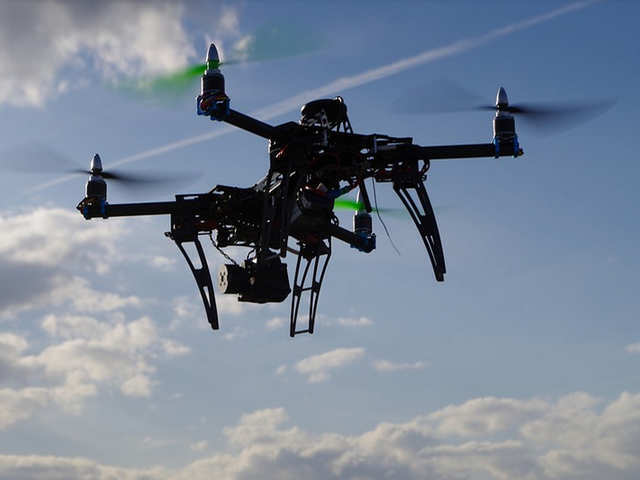 This combines with an optional Vision Accessory Kit, which includes an 8-megapixel camera, VGA camera and Intel’s RealSense R200 camera, to give software developers flexibility to explore potential applications for drones. Aero will also come equipped with Intel’s RealSense Technology, which uses the drone’s cameras, processor and sensors to create a model of a 3D environment.